Samuel Ogden was the son of a sailor in Southwark, who bred him to his own employment, in which he wrought honestly for many years until he fell very ill of dropsy, for the cure of which, being carried to St. Thomas's Hospital, he after his recovery applied himself to selling fish, instead of going again to sea. How he came to be engaged in the crimes he afterwards perpetrated we cannot well learn, and therefore shall not pretend to relate. However, he associated himself with a very numerous gang, such as Mills, Pugh, Blunt, Bishop, Gutteridge, and Matthews, who became the evidence against him. He positively averred that one of the robberies for which he was convicted, was the first he ever committed. He expressed the greatest horror and detestation for murder imaginable, protesting he was no ways guilty of that committed on Brixton Causeway. At the time of his trial at Kingston he behaved himself very insolently and audaciously; but when sentence had been passed upon him, most of that unruly temper was lost, and he began to think seriously of preparing for another world. He confessed that his sins were many, and that judgment against him was just, meekly accepting his death as the due rewards of his deeds. He was the example of seriousness and penitence to the other twelve malefactors who suffered with him, being about thirty-seven years of age at the time of his decease. John Pugh, otherwise Blueskin, was born at Morpeth near Newcastle-upon-Tyne. His father was a carrier in tolerable business and circumstance, who put him to be a servant in a silver-spinner's in Moorfields, where he soon learnt all sorts of wickedness, beginning with defrauding his master and doing any other little tricks of that kind, as opportunity would give him leave. We are told of him what perhaps can be hardly said of any other criminal who hath died in the same way for many years past, that though he was but twenty-two years of age, he had spent twelve of them in cheating, pilfering, and robbing. At last he fell into the gang that brought him to his death, for a robbery committed by several of them in the county of Surrey. Pugh, though so young a fellow, was so unaccountably stupid and wicked that though he made a large and particular confession of his guilt, yet it was done in such a manner as plainly showed his crimes made no just impression upon his heart; all he said, being in the language of the Kingston Ordinary, the sleepy apprehensions of unawakened ignorance, in which condition he continued to the last. William Frost, a cripple, was the son of a pin-maker in Christ Church parish, Southwark, and as to his education, my account says it was in hereditary ignorance. He had wrought, it seems, while a boy at his father's trade of pin-making, but since he was thirteen or fourteen had addicted himself to that preparative trade to the gallows, shoeblacking. While he continued in this most honourable profession, abundance of opportunities offered for robbing in the night season, and we must do him the justice to say that they were not offered in vain. Thus by degrees he came on to robbing on the road and in the streets until he was apprehended, and upon the evidence of his companion was convicted. The Sunday after this, he with the rest of the malefactors was brought to the parish church, which was the first time, as he declared, he had ever entered one, at least with an intention to hear and observe what was said. There he made a blundering sort of confession, and would perhaps have been more penitent if he had known well what penitence was; but he was a poor stupid, doltish wretch, scarce sensible even of the misfortune of being hanged. He was, however, very attentive in the cart to the prayer of those who were a little better instructed than himself, and finished a wretched life with an ignominious death at twenty-one years of age. Richard Woodman was born at Newington, in Surrey. He got his bread some years by selling milk about, but thinking labour too great a price for victuals, he addicted himself to getting an easier livelihood by thieving. In this course he soon got in with a gang who let him want no instructions that were necessary to bring him to the gallows. Amongst them the above-mentioned lame man was his principal tutor. The last robbery but one that they ever committed was upon a poor man who had laid out his money in the purchase of a shoulder of mutton to feast his family, but they disappointed him by taking it away, and with it a bundle of clothes and other necessaries, by which the unfortunate person who lost them, though their value was not much in themselves, lost all he had. 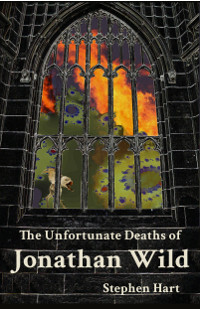 His behaviour was pretty much of a piece with the rest of his companions, that is, he was so unaffected either with the shamefulness of his death or the danger of his soul that perhaps never any creatures went to death in a more odd manner than these did, whose behaviour cannot for all that be charged with any rudeness or want of decency. But religion and repentance were things so wholly new to them, and so unsuited to their comprehension, that there needed a much greater length of time than they had to have given them any true sense of their duty, to which it cannot be said they were so averse, as they were ignorant and incapable. William Elisha was another of these wretches, but he seemed to have had a better education than most of them, though he made as ill use of it as any. He was once an evidence at Croydon assizes, where he convicted two of his companions, but the sight of their execution, and the consciousness of having preserved his own life merely by taking theirs, did not in the least contribute to his amendment, for he was no sooner at liberty but he was engaged in new crimes, until at last with those malefactors before mentioned, and with eight others, he was executed at Kingston, in the twenty-fourth year of his age, April 4th, 1724.